(November 2015) It is becoming a pattern: I like to share information on career searching. I do this because you may not hear this information as much as you need to. In my last blog, I wrote on the importance of asking the right questions during the interview process. But that is only one small piece to solving the employment puzzle. For this month’s blog, I want to talk about your resume. The mighty resume: a single sheet (maybe two), condensed of all your achievements, skills and competencies; the gateway to the interview. Your resume holds immense power. A strong resume, in content and structure, can set you on the path to achieving your career aspirations. A glossed over, fumbled resume leads to nowhere. Having conducted hundreds of interviews over my tenor in higher education, I am still amazed by the number of people that make these common mistakes. Remember, during the first stage of evaluating applicants, the goal is to not find “the one," but to eliminate people from the pool so the manager can focus on a smaller number of resumes. During this first cut, the small mistakes stand out, as the focus is to eliminate people. Typos, gone! Wrong contact information, gone! Incoherent cover letter, gone! These are simple mistakes, but they are also simple to correct. 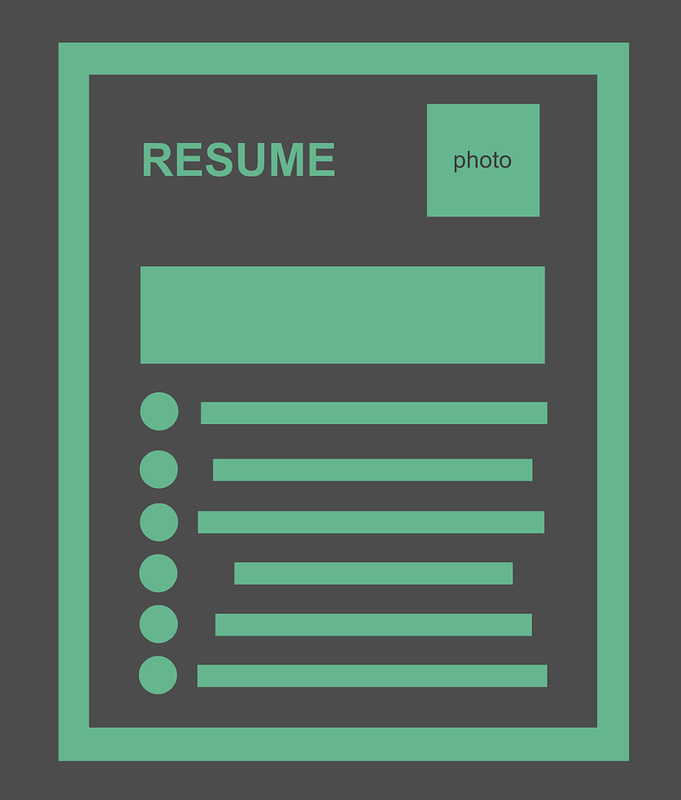 When crafting your resume, formatting is key. You want the reader’s eye to easily maneuver the page, spot important information that correlates directly to the position and move your resume to the top of the stack. Keywords are important, but don’t over do it. In our digital age, human resource departments often use software to identify terminology in your resume that matches that of the position. Use it to your advantage by reviewing the job description and researching the company website. Putting together the perfect resume may seem daunting, so I encourage you to take advantage of the many great support services we offer on campus such as the Career Services Center. There, you can attend workshops on building your resume or forming clear and concise cover letters; both are skills that should be practiced and perfected. Make it harder to be cut in the first stage. For more common job search mistakes, take a look at this comprehensive list. Ignore them at your peril.